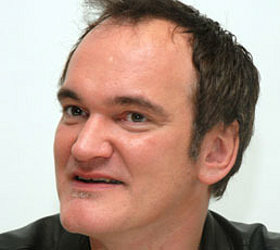 Quentin Tarantino’s Lawsuit Against Gawker: Enjoy! In the true spirit of its genre, the January 23 online leak of Quentin Tarantino's latest screenplay for the Western movie The Hateful Eight sets the stage for a showdown between Tarantino and gossip-news website Gawker. Aside from pure entertainment value of the personalities involved, the case confronts some of the hottest topics in copyright law, including fair use, safe harbors, and secondary liability. The case could ultimately turn, however, on one little word at the end of Gawker's story. Gawker didn't actually display the full screenplay or even publish excerpts. Rather, Gawker reported the leak occurred while giving access to the poached script via a link to the website where it resided – apparently one that was independent and not otherwise connected to Gawker. Thus, Gawker says, it didn't interfere with Tarantino's rights. But Gawker also did one more thing ... it added "Enjoy!" at the end of its story. Gawker's liability likely hinges on whether that one word phrase reflected a desire that its readers click the link. Secondary liability, a fancy way for saying aiding and abetting, is a current hot topic in all areas of IP law, not just copyrights. Generally, liability in such circumstances only requires that a party encourage someone else to engage in conduct it knows to infringe, even if it wasn't directly engaged in the copying. The Supreme Court has dealt with this issue at least twice in the past ten years, most recently in the context of patent infringement in 2011 (Global-Tech v. SEB, dealing with the standard of knowledge required by the encourager). And while much still remains to be resolved in this area of the law, Gawker's ability to explain away what it meant by the story's one word conclusion is likely to prove its biggest hurdle. Absent that phrase, Gawker has a better chance to claim it was simply presenting a news story with supporting documentation. By including it, that "news" story is transformed into a salacious invitation by Gawker to check out the screenplay, maybe get a little advance preview your friends haven't (at least until you re-tweet the link to them, now potentially having exposed yourself to the same fate as Gawker). Big Hollywood names, complex legal theories, and big talk from both sides about not backing down all suggest those following the case might have their own opportunity to "Enjoy!" as things unfold. In pointing the world toward a leaked cowboy movie screenplay, perhaps Gawker might just as well have ended its story with a different one-word phrase: Draw! [Shawn Leppo practices in the Intellectual Property, Patent Division, and International Law groups of Pennsylvania-based law firm McNees Wallace & Nurick LLC. His practice includes all aspects of intellectual property law including litigation, licensing and patent prosecution.